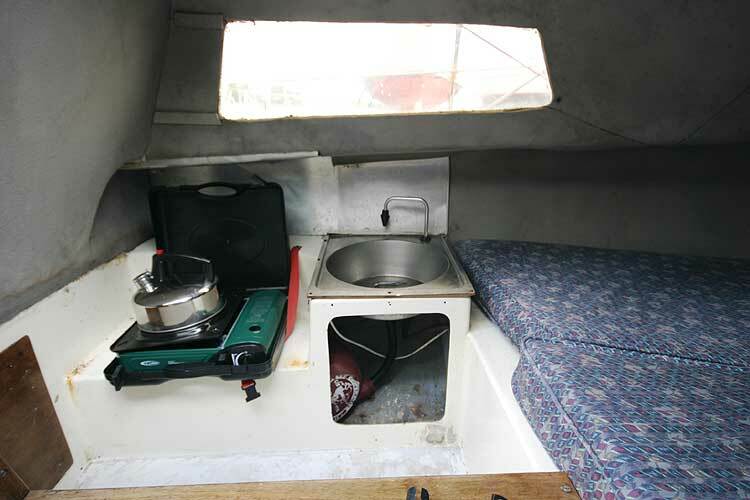 The Westerly Nimrod offers basic accommodation combined with speed and economy. 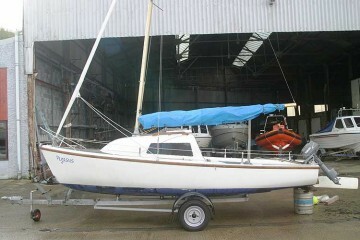 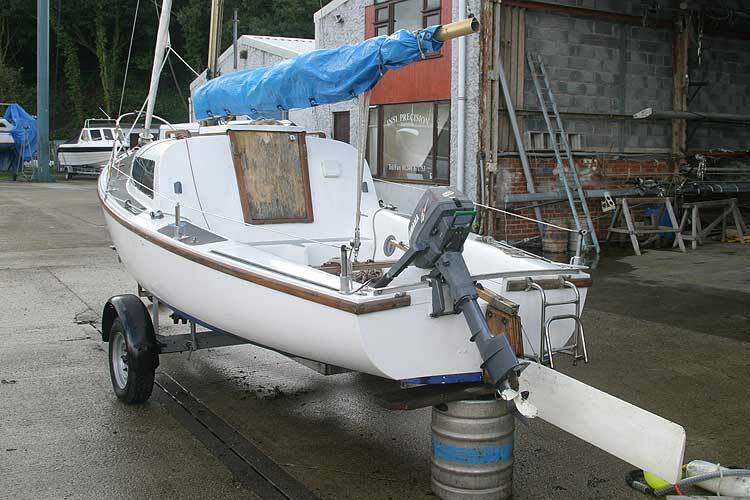 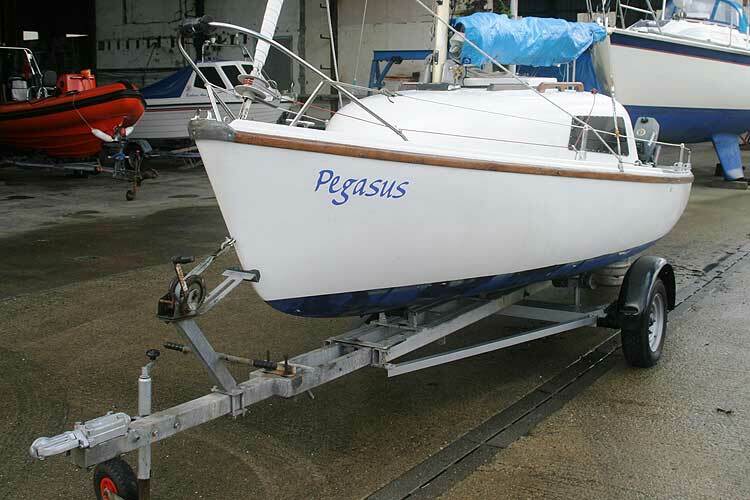 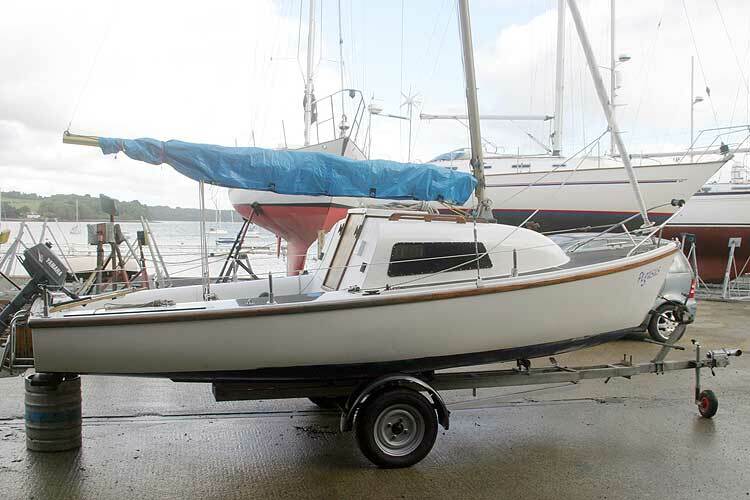 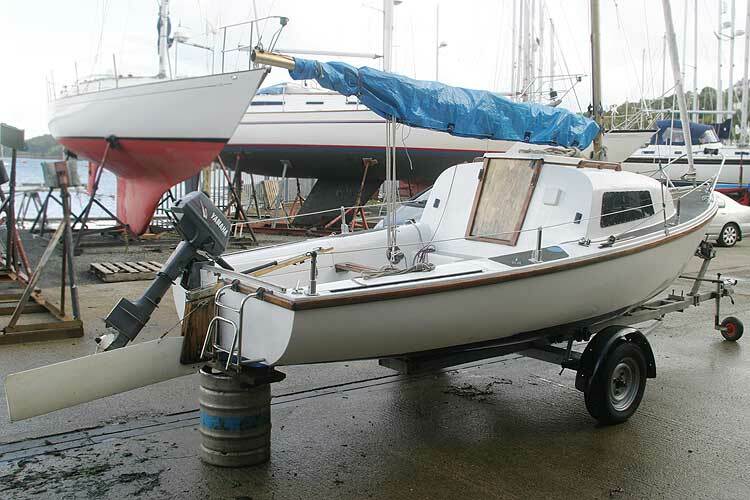 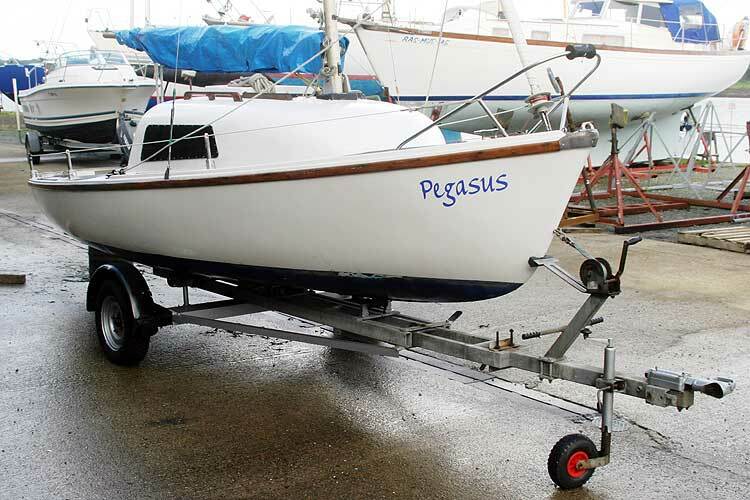 She comes with a good suit of sails and a break back road trailer which has recently undergone a major overhaul. 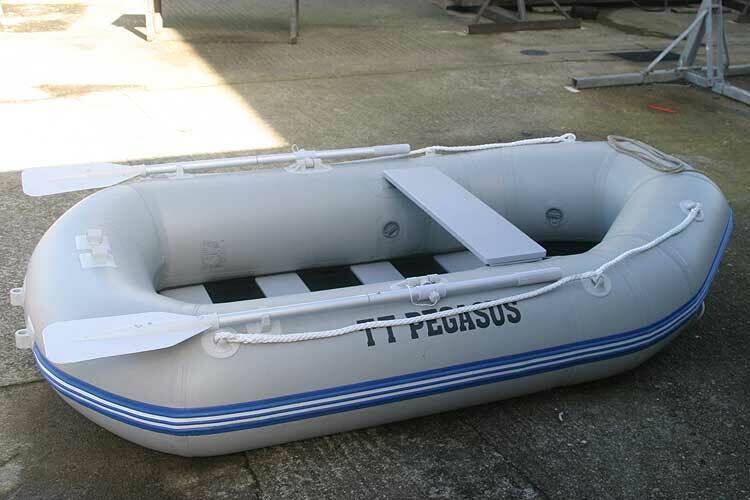 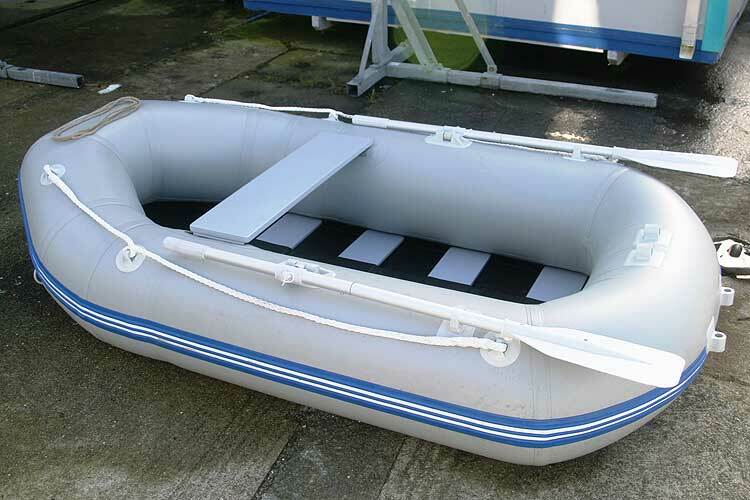 She is in very good condition and is currently stored ashore under cover. 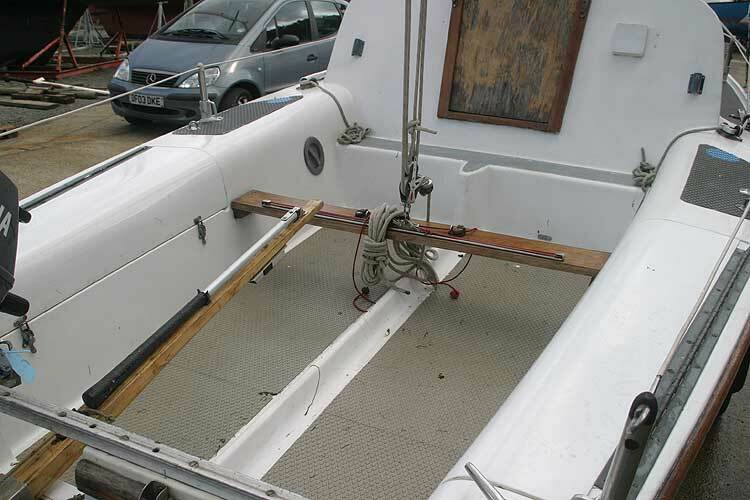 The lifting keel gives a draft of four feet when lowered which makes for great stability, and she draws a mere 8 inched when the keel is fully retracted. 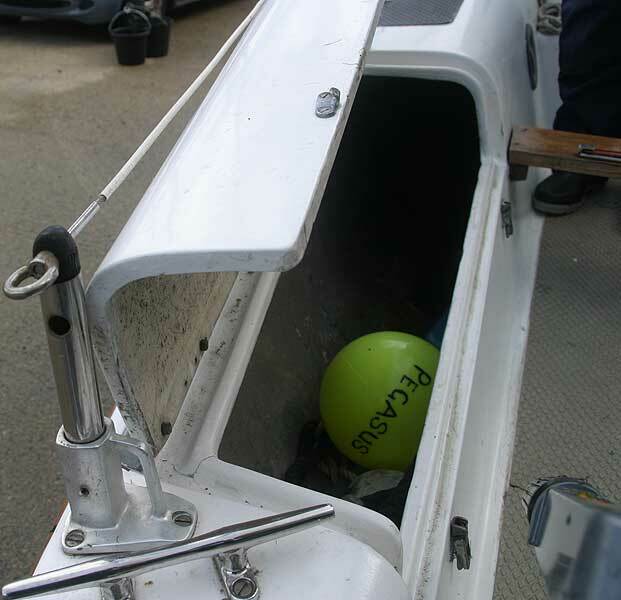 This makes for easy launching and recovery. 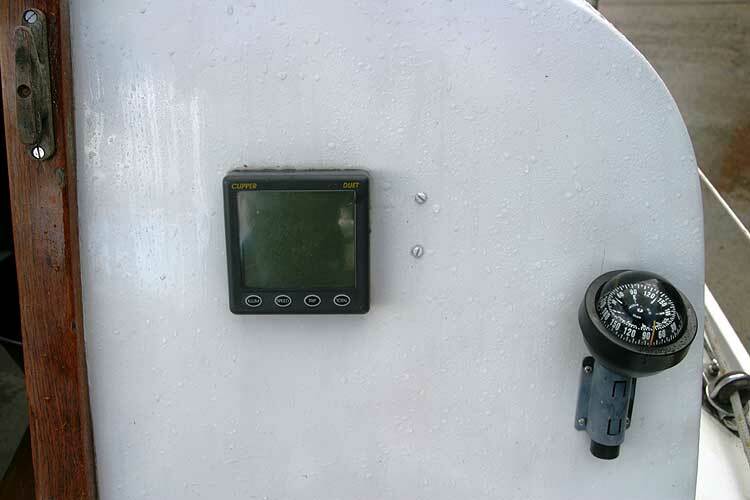 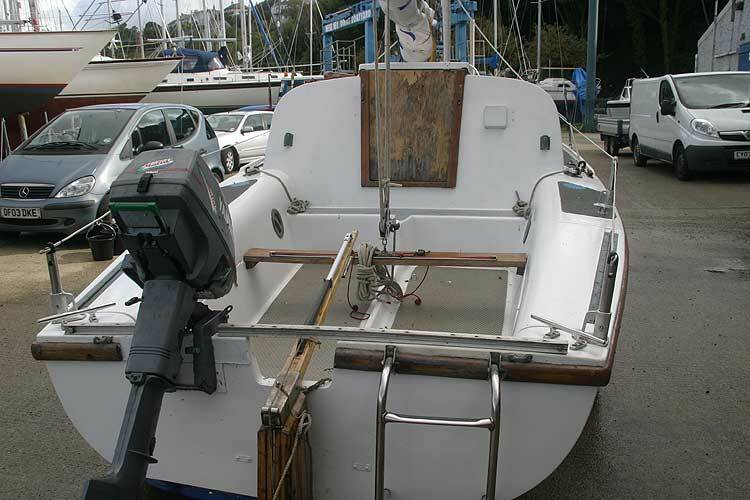 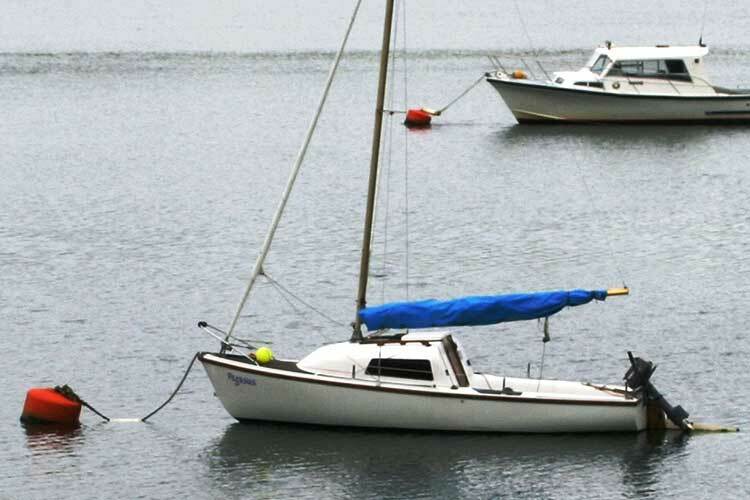 If used in shallow waters her depth sounder is very handy, however the keel will swing up if she touches. 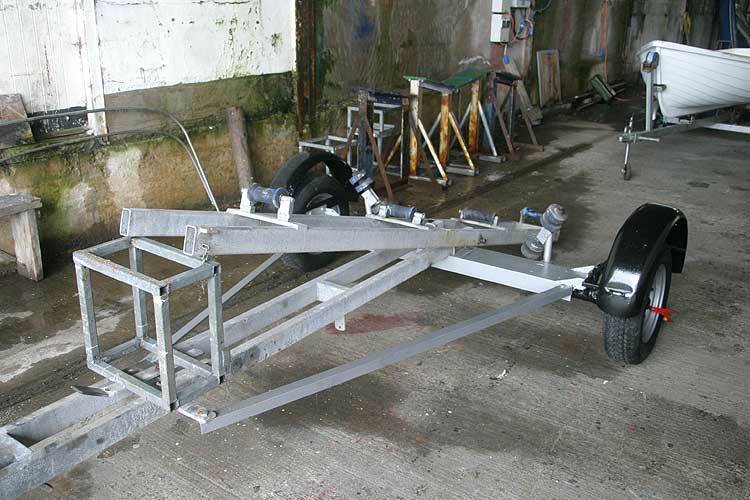 The transom mounted outboard motor has been serviced this summer and starts first pull.It runs on 100-1 mix of fuel. 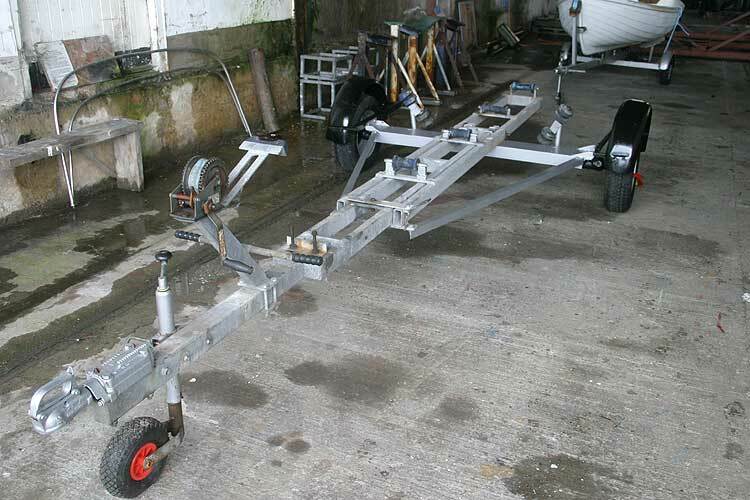 The mast can be raised or lowered easily and stows on the fittings supplied for transport by road. 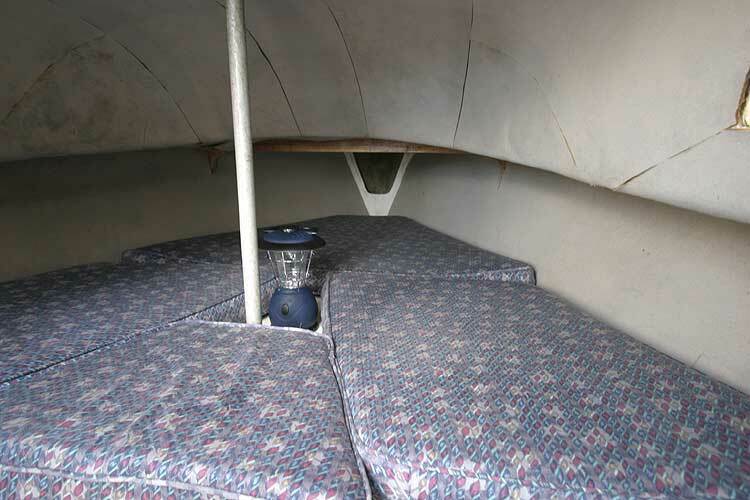 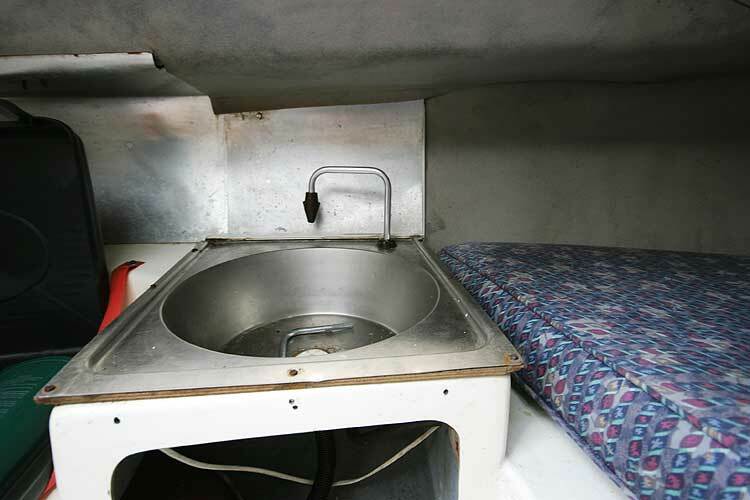 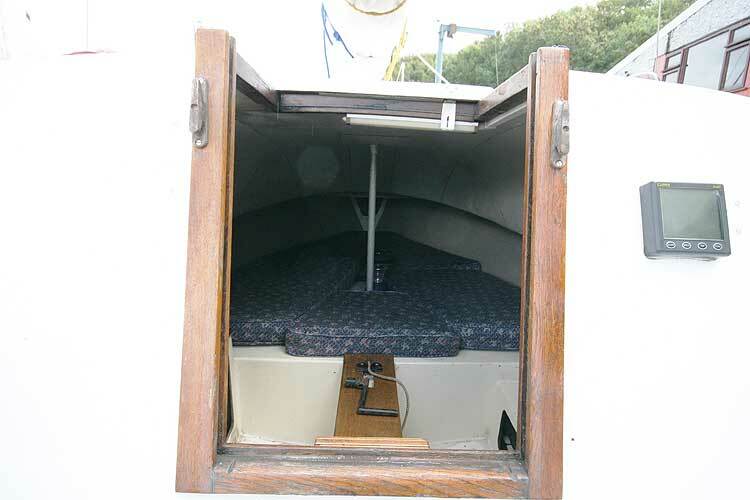 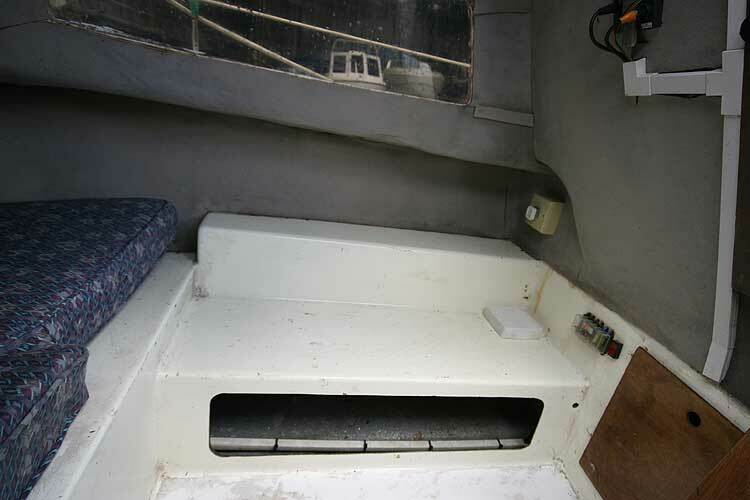 Two berths in the small cabin, the cushions have recently been replaced. 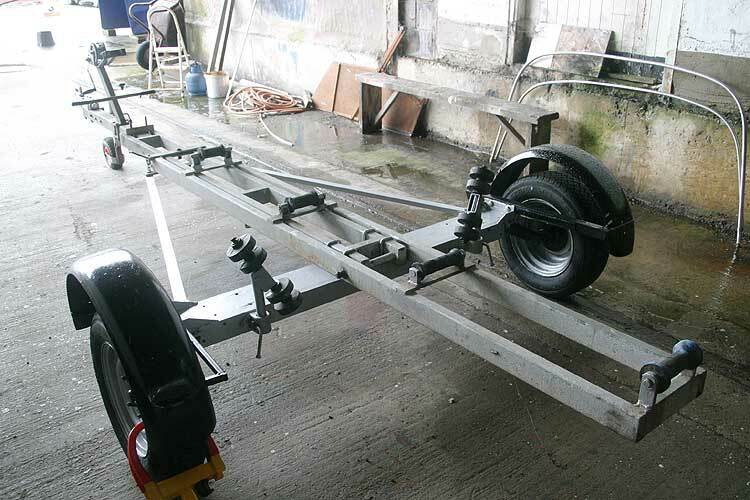 The two wheel road trailer has recently been overhauled by Bangor trailers ltd, work done included new tyres and wheel bearings and a new hitch. 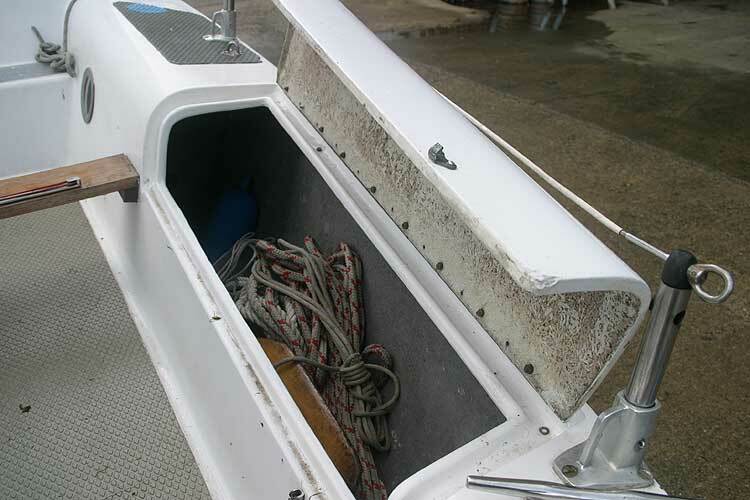 Warps and fenders. 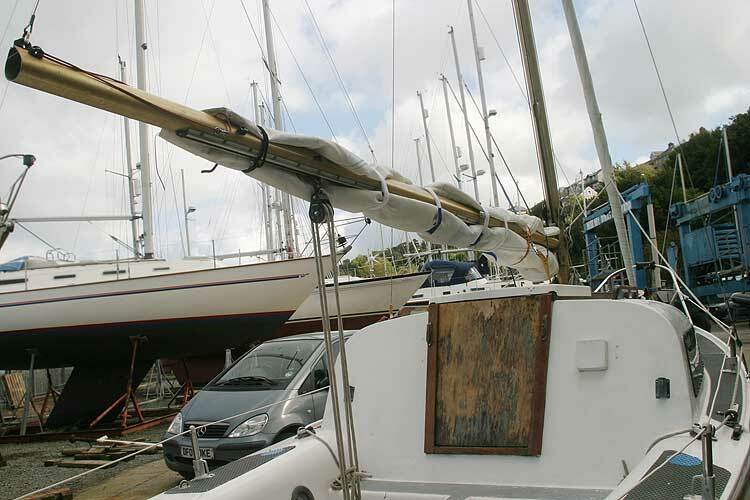 Boat hook, anchor and warp. 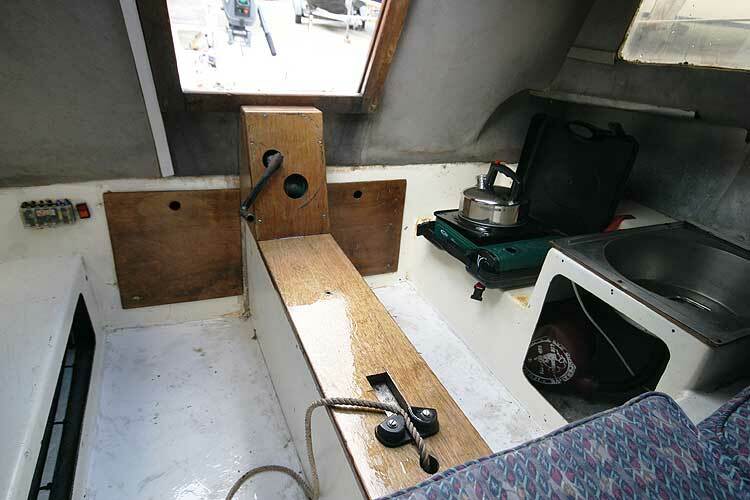 Mooring strop with shackles and swivel. 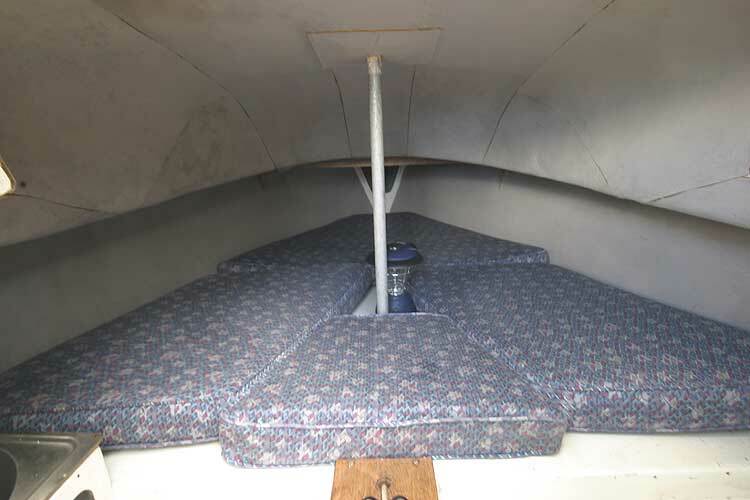 A new tender is available as a separate item. This boat is no longer for sale and remains here solely as an information resource for those researching Westerly Nimrod's.